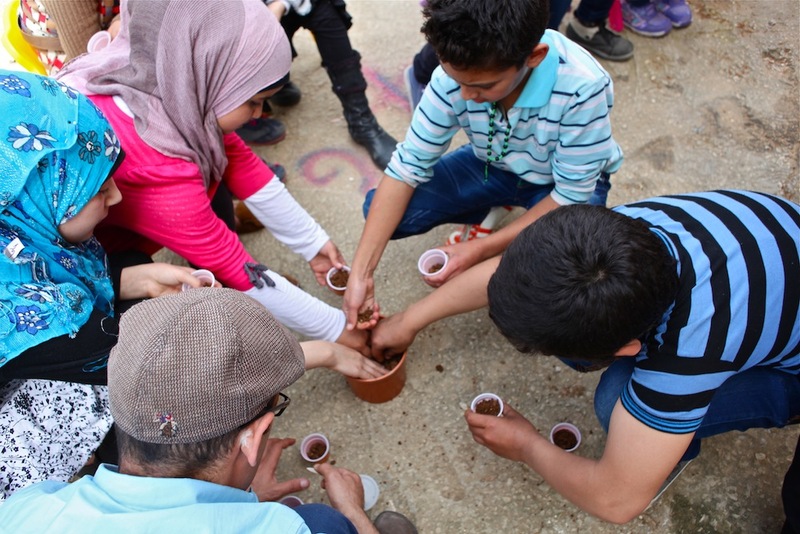 Syrian refugees from a nearby village learn how to plant basil seeds as part of Italian NGO Intersos’ psycho-social services that focus on diverse ways to educate children. I produced this story as part of the Amplify team’s research for this challenge on IDEO.org. Education is one of the most desperate needs for Syrian refugees in Lebanon. It is such a complex issue in the country, but it is one that many are working to help. Still, a massive need remains. Mona Kinana’s eldest children had to stop going to school two years ago. Their hometown of Aleppo had become too dangerous, she says, because of unpredictable bombings and shelling. Alaa, 14, had been at the top of his fifth-grade class and missed school terribly. Amal, 15, was also distressed. For her, school allowed her to concentrate on something besides her impending marriage. Early child marriage was a common fate for about 13 percent of teen and pre-teen Syrian girls before the war, and is even higher among Syrian refugees now due to financial need and safety issues. In some ways, Kinana’s nine-year-old daughter, Ahlam, was the lucky one. She hadn’t started school yet, so she didn’t have an education to miss. Kinana and her children fled Syria in 2013. They’ve come a long way since arriving in the village of Ketermaya, in southern Lebanon. They live on the first floor of a two-story building that’s still under construction, but it’s a vast improvement from the garage they first called home as refugees. The kids are all in school now. But it’s been a tough journey. 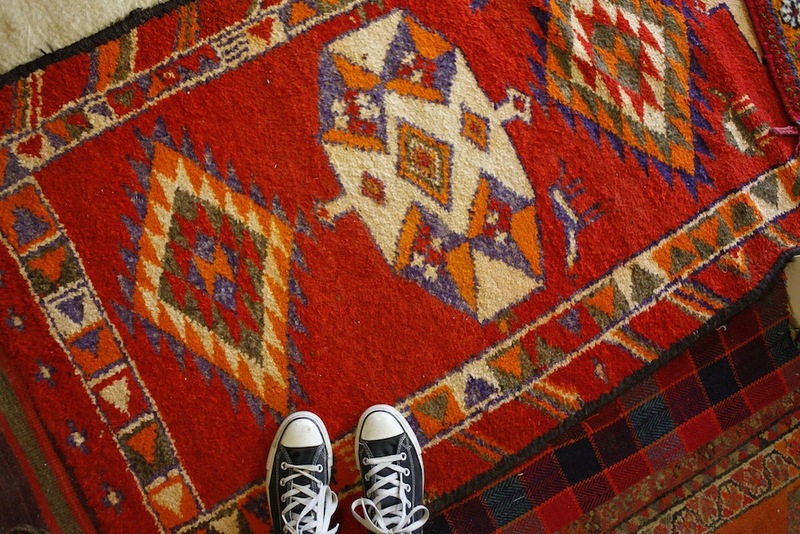 In a tent made with black woven goat hair in the Kurdish Textile Museum in the Citadel in Erbil, Iraqi Kurdistan, I stood on Kurdish carpets woven in the early 1900s. The museum has more than 400 carpets and is reopening very soon, after more than 18 months of renovation. The history and culture of Kurdistan, with a focus on Erbil, on display is extensive and beautiful. To be surrounded by such beauty for an hour and a half is a reminder that even in a region with violence and war surrounding on all sides, there is some place where peace and splendor prevail. Life continues amidst instability everywhere – what other choice is there? More photos and a more in-depth story on Kurdish textiles will be coming soon! BlattChaya’s headquarters in Dekwaneh, in Beirut, is one of the loveliest places I have been in Lebanon. Immediately upon entering, the office/factory of Lebanon’s only handmade artisanal cement tiles feels and smells like home, even for a stranger. Check out the beautiful work of one amazing woman who works in a man’s world of iron, copper and aluminum with ease. Lana and her father, Abdallah Halabi. 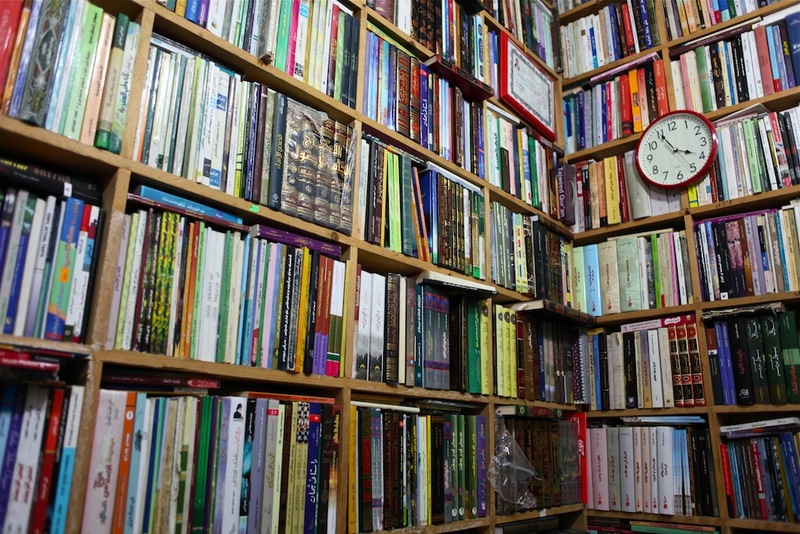 Recently I wrote a story about a little bookshop with a big heart in Tarik El Jdeieh, in Beirut. There is a proverb that you often hear from the Lebanese, especially when it comes to books: “Egypt writes, Lebanon publishes, Iraq reads.” But I have met so many readers here and people passionate about books, I know that isn’t entirely true. 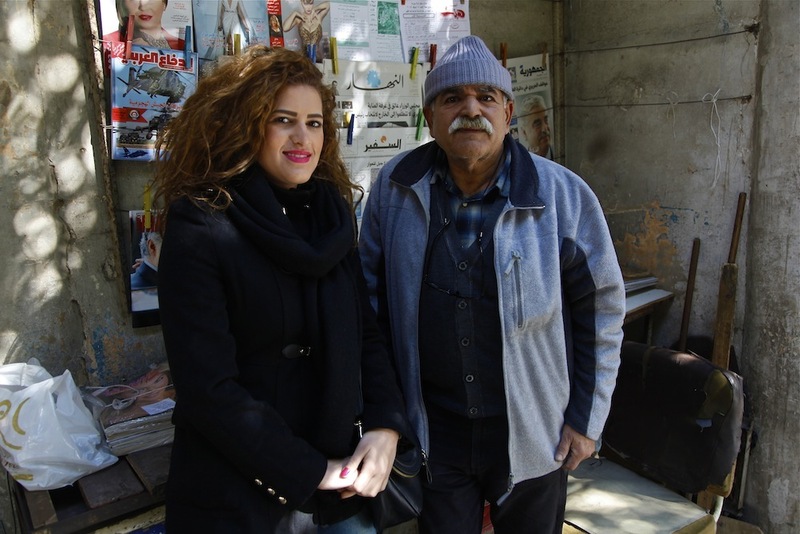 The Halabis are some of those people, and I am really happy I was able to support Lana Halabi’s dream to turn her father’s messy bookshop into a space for readers in Lebanon to enjoy. 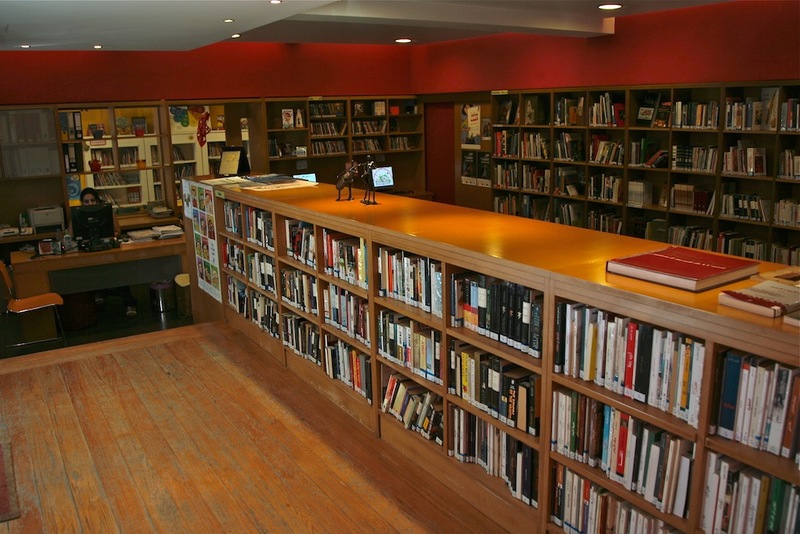 The Bachoura branch of Beirut’s municipal public library network. I have always believed libraries can change lives. Some of my best and earliest memories are from the Vestal Public Library, where the memories of breathing in the sweet smell of library books and pulling off as many books as I could carry in my arms feel as if it were not so long ago (certainly not 29 years!) For me, this space was a sanctuary and what I thought a privilege to be able to read as many books as I wanted, regardless of my ability to buy them. I traveled the world from my small town, longing to see the lives of the people in my books. Little did I know back then that this is a right, this access, that so many people not only in the United States do not have, but globally as well. 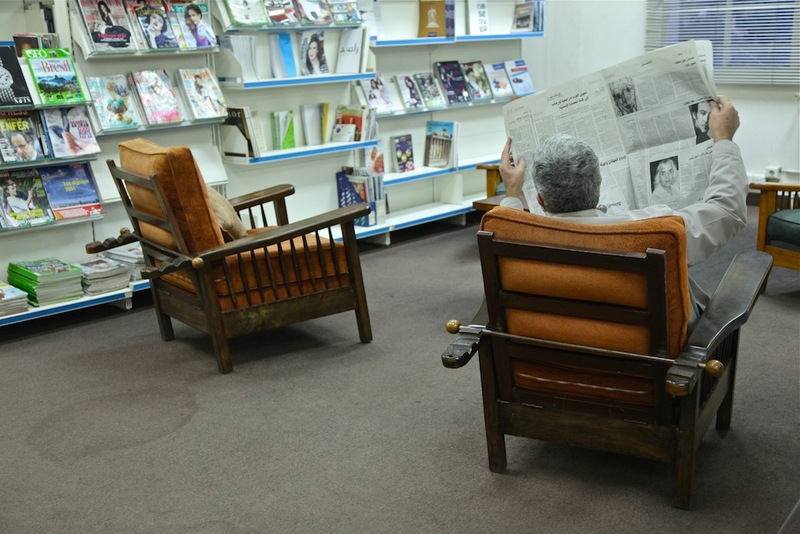 Librarian Cosette Azzi works in the Monot branch of the Beirut public libraries, where there is an emphasis on the arts in the collection, due to its proximity to places such as the Monot Theater, Jan. 27, 2015. I learned this firsthand when I began to travel in my early 20s. Where were the libraries? In Kazakhstan, in the town where I lived, a library was a place to copy information out of encyclopedias for homework and for President Nazarbayev to display the latest biography written about him. Certainly not a cultural hub. When I found the first of three public libraries in Beirut, I felt home again in a way that I never felt anywhere else in this chaotic city. For many reasons, which I address in the article I wrote below for Al-Monitor, the public libraries here still struggle for patrons and funding. I am attaching my article in full below, but in case you decide not to keep reading, I’ll leave you with one of the most inspiring things I have heard in a long time, said to me by Antoine Boulad, President of ASSABIL. Keep reading for the article!